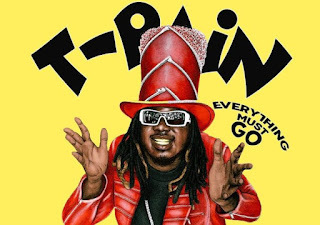 When T-Pain recently teased on social media that he wants to put out plenty of unreleased material for his fans that he recorded over the years, he wasn’t kidding. Today, T-Pain has released volume 1 of Everything Must Go, a pack featuring 13 songs from the vault. One of the songs called ‘That’s Me’ which has been teased before on the internet, features Joey Badass and Joe Budden. Ace Hood is the only other guest who appears on the project. Other songs include ‘Like Bam’, ‘Airplane’, ‘Hallelujah’, ‘Time Not Place’ and more.